Houston Juvenile Lawyer James Sullivan defends children in courts throughout southeast Texas. Board Certified in Juvenile Law. Serving Greater Houston since 1994. Call 281-546-6428 for a free phone consultation. WHY CHOOSE A BOARD CERTIFIED ATTORNEY? Board Certification indicates excellence and is a signature accomplishment. 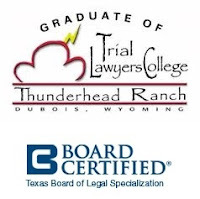 Within the Texas legal community, Board Certification means an attorney has substantial and dedicated experience in a select field of law as well as tested, and demonstrated, competence in that area of law. There are more than 85,000 active attorneys licensed to practice in Texas. Only 7,000 are Board Certified and only 38 are Board Certified in Juvenile Law and in private practice. Board Certified lawyers are specialists in a select area of the law and earn the right to publicly represent themselves as specialists. In fact, they are the only attorneys allowed to do so by the State Bar of Texas. This designation as being Board Certified sets them apart as being an attorney with the highest public commitment to excellence in their area of law. Is your child’s attorney board certified? If not, why not? Doesn’t he or she deserve a board certified lawyer to represent him or her? Attorney James Sullivan was an answer to my prayer. About 15 years ago my teenage daughter got into trouble for shoplifting. After asking God to help me find a good lawyer to represent my daughter, I found James Sullivan in the yellow pages. After I talked to him, I felt comfortable that he was the one to represent my daughter. His fee was reasonable and was able to get a pretrial diversion for my daughter. Her charge was dismissed after 6 months of probation. 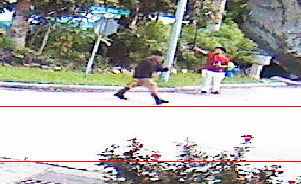 Four years later my daughter was arrested again while she was biking from the University of Houston to her nearby apartment. The police just busted a gang stealing bicycles in the same area and some of the gang members ran away. As my daughter rode by, they thought my daughter part of the gang and stopped her to arrest her. They searched her purse and found a spoon. They claimed that her spoon tested positive for drugs and took my daughter to jail. Attorney James Sullivan represented my daughter again. He got the case dismissed after requesting the state to test the spoon for drugs. He also filed an expungement for my daughter. I’m very pleased with James Sullivan’s work. Recently my 11 year old granddaughter was charged with terroristic threat for using careless words, “I will murder you and your family” in a moment of frustration when she was harassed by two classmates during class. This happened just a few days before the end of the school year. Our main goal was to get the charge dismissed during the summer time before school started so my granddaughter would not be suspended from school. I discussed my granddaughter’s case with 4 attorneys but only attorney James Sullivan had the confidence that he could get her case dismissed and also before school starts back. And, Attorney Sullivan did it. We only had to go to court one time, and Sullivan got the case dismissed a few days later, one month before school starts. From my experience with attorney James Sullivan over the last 15 years, I can say that he is a talented lawyer with integrity and kindness. He took time to meet with us and explain the court process to us so we knew what to expect. I thank God for attorney James Sullivan who cares for his clients and has the experience to effectively defend his clients’ rights. If you want a Board Certified Juvenile Lawyer to represent your child, call Angleton Juvenile Lawyer James (Jim) Sullivan at 281-546-6428 for a confidential consultation. Copyright © 2019 by James Sullivan. All rights reserved.